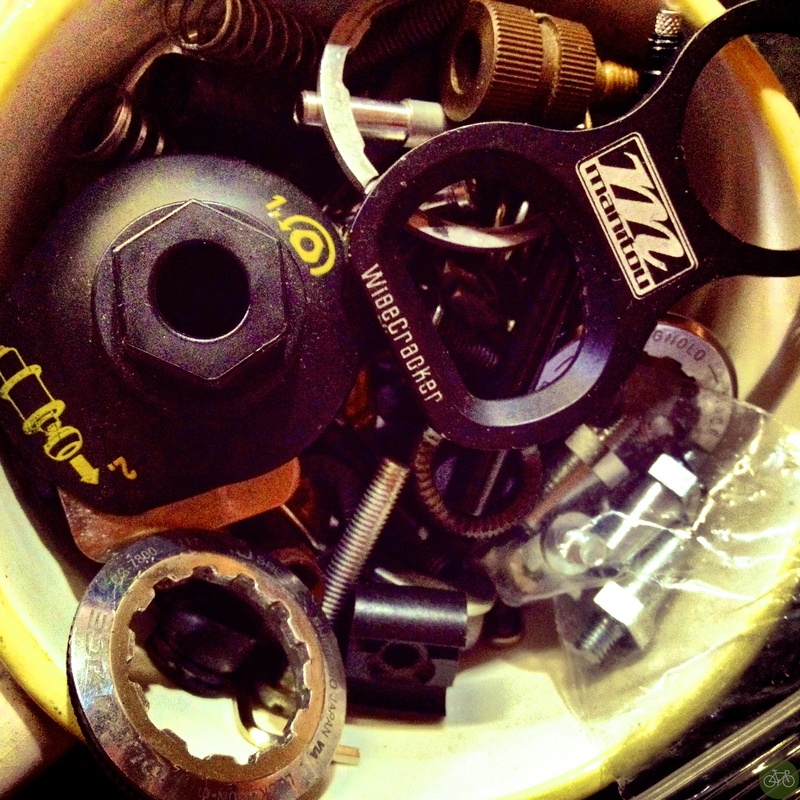 A workbench mug full of bits and pieces is like a bike time capsule. It’s filled to the brim with quick release springs, spacers, lock rings, a valve extender, PowerTap cap wrench, and more. Spill the contents out, assemble them in order, and see a timeline, including some Manitou MTB schwag. Can’t remember where that mug originally came from, just that it’s there on the bench in the bike shop.